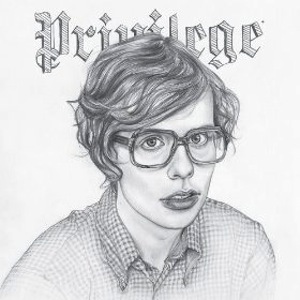 For those of us who have followed Parenthetical Girls throughout the years, their “new” album, Privilege (Abridged), may not seem all that new to us. The release is the planned culmination of their five part Privilege EPs-On Death and Endearments (pt. I), The Past, The Imperfect (pt. II), Mend and Make Do (pt. III), Sympathy for Spastics (pt.IV), and Portrait of a Reputation (pt. V), minus a few songs. A box set of all the Privilege EPs plus many special features and handmade material was released last year, making it almost kind of silly for the abridged version of the EPs to come out afterwards. Regardless, it does make it easier to have all of your favorite Privilege songs on one handy album for your listening pleasure. The Portland-based orchestral pop group is set to do a mini tour starting in March. The first show will obviously be in their current town of Portland with dates going across the US and up into Canada. For more of Parenthetical Girls, be sure to either catch them live or hit up their website where they’ve got tons of cute little videos and interesting art to gander.